Is astral projection / obe the same thing as lucid dreaming? The Astral Pulse > Astral Projection & Out of Body Experiences > Welcome to Out of Body Experiences! (Moderators: Stillwater, Selski, David Warner, EscapeVelocity, Xanth, floriferous, Szaxx, LightBeam, ThaomasOfGrey, Nameless) > Is astral projection / obe the same thing as lucid dreaming? Re: Is astral projection / obe the same thing as lucid dreaming? Ended up overworking when trying to use alarmy. I should've only used one phone (I used two) and it overwoke me I ended up shutting off both phones. It was also too loud. I created a 4.5 hr alarm that is having great results luff. Record silence for 90 minutes then add a quick “beep” or whatever alarm sound you want. Do that in three 90 minute intervals so it will equal a total of 4.5 hours. I did it in 90 minite intervals because that is when the brain cycles to REM. So each rem cycle you will have a brief alarm slightly jar you awake....hopefully into the obe state. Good luck! Yeah, every time I try to awaken 4 hours or more after sleep I end up staying up all night when I try to stay awake for five minutes or less. This is an email Raduga sent to me. I wanted to know if I can replace step 1 in the obe4u method? Instead of sleeping 4 to 6 hours I can sleep for two to two and a half hours. Also does awakening 2 to 3 hours before regular awakening work? The reason I'm asking is that every time I try to awaken after 4 to 6 hours of sleep and try to stay awake for less than 5 minutes I can't go back to sleep and end up staying awake all night long. I have a post on dreamviews asking about this. I also wanted to know how to participate in project Elijah once I have enough experience with the phase? You can wake up earlier, but there's no reason for this because your next sleep maybe too deep. Try to reduce 5-minute break, make less movements. We've been working on this problem. I don't understand what he means when he says "Try to reduce 5-minute break, make less movements." Can anyone interpret this for me? Edit: I also wanted to ask if I can skip step 1 and do step 2 before sleep. Step 1 is awakeing after 4 to 6 hours of sleep. And step 2 is going to sleep with an intention to have a ld (or ap). You told Raduga that you have a hard time going back to sleep after only being awake for 5 minutes. So, he tells you to try to stay awake for less than 5 minutes instead! It means, to try staying awake for less than 5 minutes. Try 0 to 4 minutes. Understand? Any time LESS than 5 minutes. When Raduga says "..., make less movements" he means to try to stay as still as possible. This is where your auto-shut off alarm helps. REDUCE THE AMOUNT OF BODY MOVEMENTS YOU MAKE TO A LITTLE AS POSSIBLE. Crazy how it takes a paragraph to explain the most simple of things. Can I awaken after two to two and a half hours of sleep? He said in the email that I can sleep for less time. Also if that doesn't work can I skip step 1 and do step 2 before sleep? Luffy with all respect, did you even read what we or I said earlier? You are over-complicating it. Sleep for 3-4-5 hours then try it. On your back, don't move and dive into it deeply, let it happen. This is one way only. You need to sleep that much for first because you will be detached more from the physical reality and your mind is clear enough normally. Sorry for replying/asking the only reason I replied was that your posts / other posts were confusing and not simple. I'm going to sleep two to two and a half hours then do it. Also in this URL Raduga says not to count during doing cycling techniques. This is the URL. The problem I'm having is "Excessive Analysis" and "Excessively Alert Awakening (no Attempt or a Sluggish One)" from this URL. I'll explain it once I do it. Which I'm not doing till next Thursday / Saturday / Sunday. I found an effective tool for "alarms" with Google Calendar. Android phones have it built in and iOS can download. All you have to do is set a recurring event and it will play a sharp sound a single time without any additional configuration. You don't even need a third-party app! Luffy, have you ever tried meditation? To me, it seems like excessive analysis only happens when people don't know how to "control" their stream of thoughts. That said, I feel the Excessively Alert Awakening (no Attempt or a Sluggish One) wording is poor. It says "you ought to follow instructions automatically" but that you also need to consciously do something. That seems contradictory. It seems like you are getting caught up in theory. 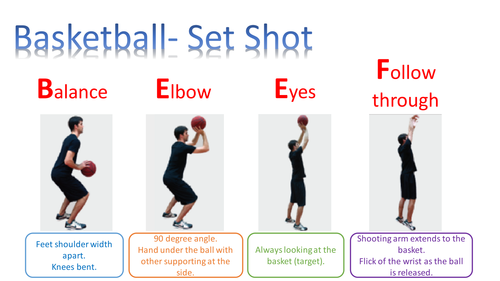 You can memorize all the steps of the acronym B.E.E.F for how to properly shoot a basketball. But if you fuss over the details, you'll forget to shoot the ball at all. Can you go into more detail about making an acronym? "Training. To train the technique of phantom wiggling, relax a hand for several minutes while lying down, eyes closed. Then, aggressively envision the following hand movements, without moving any muscles, for two to three minutes each: rotating, up-down, left-right, extending the fingers and drawing the fingers together, clenching and unclenching a fist." This is page 182 of his pdf book. I don't know what he means when he says "rotating" "extending the fingers" "and drawing the fingers together"? While I wait for a possible response I'm going to practice what I understand. I think I understand it because I read it out loud multiple times. Also, I needed to know what he means when he says "What’s most important is to establish the clear intention of trying them before falling asleep."